It’s a season of commissions and on Monday, the commission of inquiry into the Public Investment Corporation, the government’s asset manager, kicked off in Pretoria in the drab old chambers of the Tshwane city council. The commission’s surrounds belie what is at stake. The PIC manages R2.08trn in government pension assets of the Government Employees Pension Fund, or GEPF, which means commission chairperson retired Judge Lex Mpati is presiding over the probe with the highest quantum of money at stake. And, with the ANC government threatening prescribed asset legislation, all eyes will be on the inquiry to see how well the state’s custodians manage its own assets. The PIC is nominally independently managed, but is regarded as a state-owned enterprise. It falls under the National Treasury and the deputy finance minister is always the chair of the board: on Monday, deputy finance minister Mondli Gungubele sat listening to proceedings. "South Africa’s GDP can’t grow if the PIC is not growing," said the acting secretary Wilna Louw as she outlined in fine detail the governance and mission of the public pensions manager. While the commission spent much of Monday examining how the PIC goes about makings its investment decisions, things kicked up a gear on Tuesday. It heard that the PIC's Head of Listed Investments, Fidelis Madavo, had been suspended following a probe into the corporation's controversial investment in AYO Technology Solutions. The PIC, the biggest asset manager in Africa, plays a huge role in the SA economy. The proclamation which declared the commission in October 2018 reads: "And whereas the Government is the guarantor of last resort for the obligations of the GEPF, a failure of the PIC or a failure of any significant investments for the GEPF, exposes the Government to substantial financial vulnerability." Mpati is assisted by former Reserve Bank governor Gill Marcus and the veteran investment management, Emmanuel Chief Lediga, who was the first stock-broker to crash the colour bar in the uber-powerful (and then uber-white) investment community. Here are pen profiles of three commissioners who are heading the inquiry into alleged impropriety, mismanagement, abuse of whistle-blowers and information leaks at the PIC. A former judge of the Supreme Court of Appeal, Mpati’s experience in the legal sector started in 1985, and served as a Judge in the Eastern Cape High Court from 1997-2000. In 2003, Mpati was appointed Deputy President of the Supreme Court of Appeal and became President of the SCA in 2008. Mpati is also a member of the Judicial Service Commission. He has a reputation for detail and for judicial excellence. As a former Reserve Bank governor from 2009-2014, Marcus has had the closer relationship with the work of the PIC. A well-respected technocrat with experience in public finance, Marcus brings in a wealth of insight into public finance and legislation. Prior to becoming governor of the central bank, Marcus was in 1996 appointed deputy finance minister under Nelson Mandela’s administration, having been elected to Parliament in 1994 where she served as the first chairperson of the Joint Standing Committee on Finance. A former non-executive chairperson of the Absa group, Marcus has also chaired a number of regulatory bodies, including the Financial Services Board and the Standing Committee for the Revision of the Banks Act. 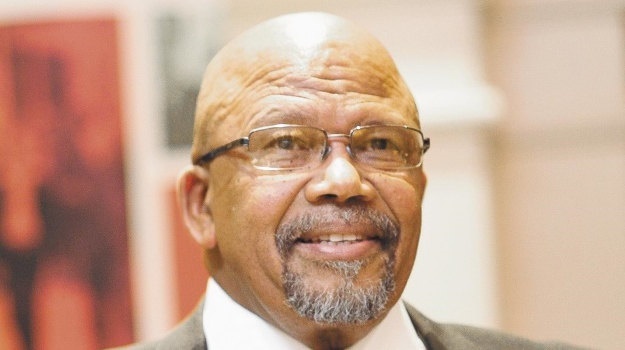 The founder of Legae Securities, the first black-owned stock broking firm, has served as non-executive chairman of several companies in his career as an asset manager. Lediga started Legae Securities in 1996 during the early years of the country’s transition. His vast experience in the financial sector, both as an investment banker and asset manager, has earned him respect in an industry dominated by global firms. His business acumen saw him build Legae Securities from the ground up to become a valuable equity brokerage firm, offering services to institutional, corporate and private clients. A former financial journalist, Lediga started his corporate career with German group Allianz in 1992 and has also served as deputy president of Association of Black Securities and Investment Professionals (ABSIP). Lediga is not scared of asking tough questions and his articles in the media suggest that he will be a bulldog in the set of commissioners. He also has the vastest technical experience in the investment arena. Adding to the power pack is award-winning economist Thabi Leoka, who is spokesperson for the commission. The commission is slated to give President Cyril Ramaphosa an interim report by February 15 and a final report by 15 April 2019. It is however unlikely to make these tight deadlines, and will likely seek a postponement.